In 2008, Lundahl Transformers celebrated its 50th anniversary. It was founded in the basement of the Lundahl family home by Lars and Gunnel Lundahl shortly after Lars came to the conclusion that most commercially available transformers were really not up to the task that they were designed for. Lars managed the technical and production development processes and Gunnel took care of the company’s administrative duties. 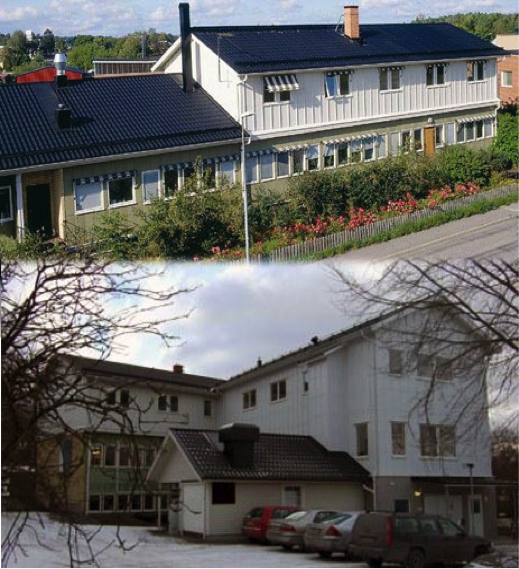 After outgrowing the basement in 1963, they moved their family and business to a newly built factory in the coastal town of Norrtälje, about 40 miles north of downtown Stockholm. The early business was mostly oriented toward military applications. However, interest in Lundahl Transformers began to grow among technical staff in the broadcast industry, beginning with Swedish Radio. Subsequent business arose through contact with British companies producing sound equipment and the root of Lundahl’s international business was begun. In 1994, Lars and Gunnel were interested in reducing their day-to-day involvement in the transformer business, so their son, Per, joined the company and took over as managing director. Per has undergraduate and graduate degrees in applied physics and has assumed the “design mantle” from his father. Per has also been instrumental in substantially broadening the reach of the Lundahl brand to North America and Asia. 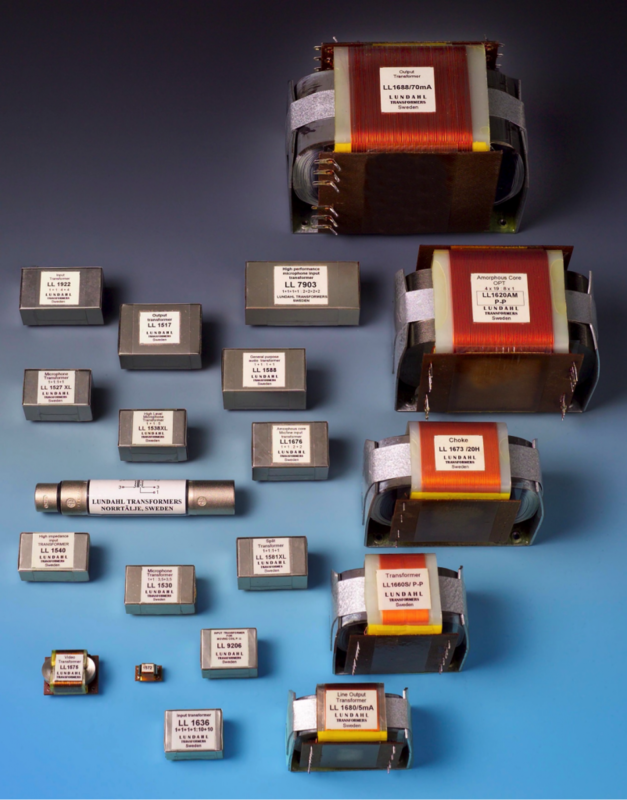 Today, Lundahl Transformers is a world leading manufacturer of high quality transformers for professional audio and audiophile applications, and for CCTV systems. The Lundahl transformer configuration was developed from first principles by Lars. Per has described his father as “a brilliant engineer” who reconceived the way a transformer was constructed from its major parts, the magnetic core and the coil(s) of wire. Not only did he develop his own way of making a transformer, but he also designed all of the manufacturing equipment with which they are manufactured! To this day there is a full-time machinist on staff who machines and assembles new equipment and maintains the existing equipment. 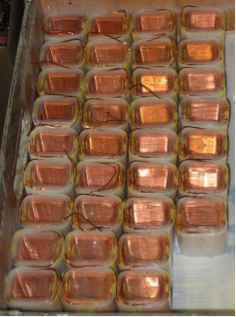 Lundahl transformers use “stick wound” coils, that is, the wire for the coils is wound in layers on a coil former made of polyethyleneteraphthalate (PET). Each layer of wire is insulated from the one beneath it by another layer of PET (in some designs, paper) insulation. 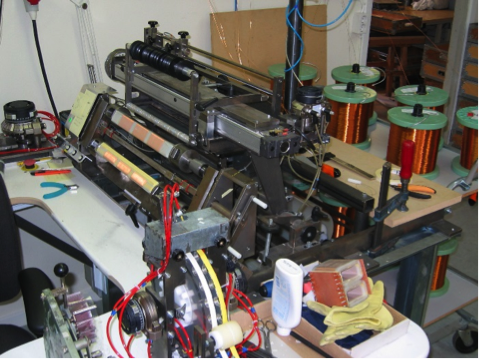 The use of stick winding with interlayer insulation provides a coil that is uniform in geometry from end-to-end and layer-to-layer, resulting in better electrical performance that the more common bobbin winding process. The winding process is managed by skilled operators, but the winding itself is done under direct control of a computer controlled winding machine guided by design-specific software. In this fashion, every coil is the same as every other and performance “matching” between transformers with the same part number is excellent. 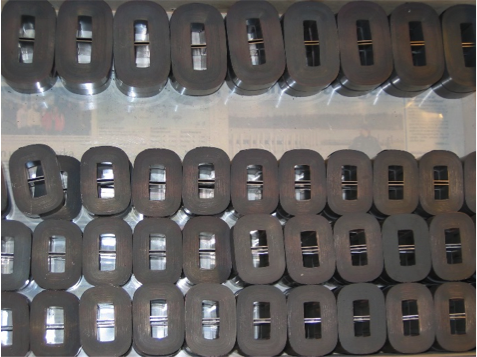 Lundahl transformers use predominantly three types of magnetic cores, cut C-cores (silicon iron or amorphous iron), uncut strip cores (amorphous cobalt), and stacked lamination cores (high nickel). The silicon iron C-cores are manufactured from strip stock, cut, and the cut surface polished to a high quality standard, all in–house. The uncut strip core transformers are assembled by winding the core material through the coils using an ingenious machine developed by Lars. 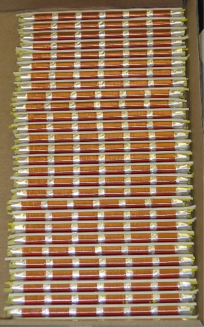 The laminated core transformers are hand stacked. 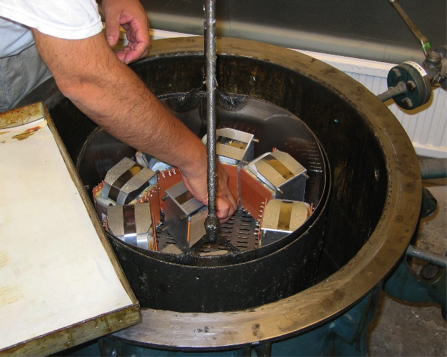 To ensure that the transformer geometry remains the same throughout the years that a transformer might serve, each transformer is vacuum impregnated with epoxy resin, which is cured in an oven. Power transformers receive a further coil impregnation treatment to ensure that they remain quiet under demanding operating conditions. The final result of these processes is an array of audio and power transformers and chokes that cover a vast range of audio and audio-related applications. Several new designs that address special applications or widen the existing application base are developed every year.